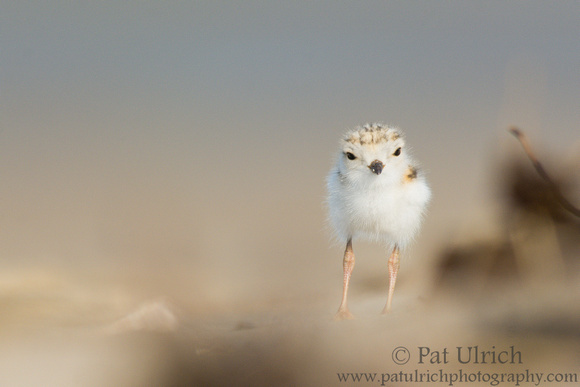 The uneven sand along the high tide line of Sandy Point State Reservation made for an fun setting to photograph this piping plover chick as it curiously checked out the photographer laying in the sand. At times, some objects in the wrack obstructed the frame, but when it stepped into the right location, it was exciting to capture this dreamy effect of an exaggeratedly shallow depth of field. Browse more photographs of plovers in my Plovers Gallery. Submitted to Wild Bird Wednesday -- follow the link for this week's posts. 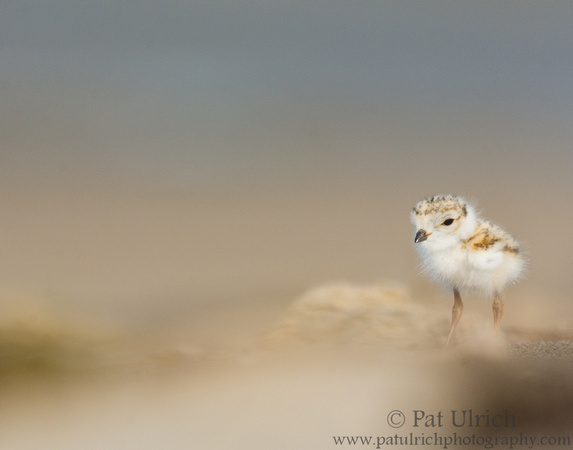 Adorable captures of the plover chick! Thanks, Eileen! They are adorable, aren't they? Very cute photo captures of the chick. Very innocent looking bird - great photos! Thanks, GreenComotion! Same to you! Thanks, Mary! It is really special to see them up close! That is about the sweetest thing I have EVER seen! How adorable that the chick was so curious about the photographer in the sand! Thanks, Marie! The were remarkably curious about me often coming well within the 8 foot minimum focusing distance of my lens. Ohh that is so cute and your captures, as you said, are dreamy. Thanks! It's always fun to have a chance to accentuate the depth of field. It doesn't always work with contrasting colors, but it can make an image a bit more interesting if the right foreground is there.